- Living Horcrux: When Harry uses his Trance advantage, or even when he is just trying to sleep, he can be subjected to visions of Voldemort's activities, or those of Voldemort's other living Horcrux, Nagini. These visions are outside of his ability to control, and render his attempt to use the Trance advantage meaningless or make it impossible for him to get a full night's rest, preventing him from using that rest to recover the way he would normally have been capable of doing. - Motivation: Doing Good: Despite his demonic nature, Harry strives always to do good by the world. - Power Loss: If Harry is incapable of accessing his wand, he loses the ability to perform any magic in his Wizarding Might array except for his Apparition, his Dimensional Shift, or his Occlumency. 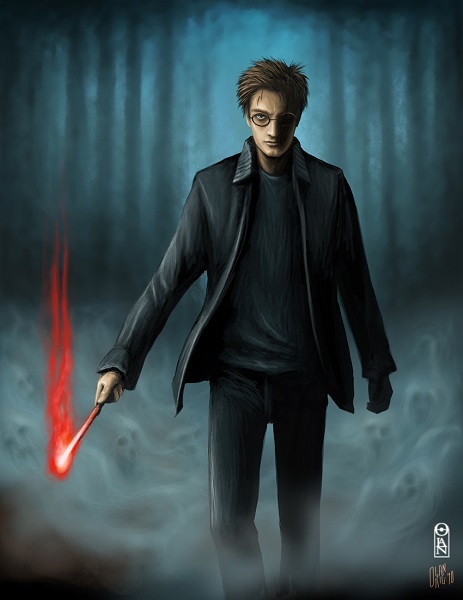 - Power Nexus: Because of his heritage, and because of circumstances surrounding his birth, Harry is the target of both supernatural forces as well as the followers of the Dark Lord known as Voldemort. Both agencies wish to use Harry to further their own agendas, though some of those agendas may be more pleasurable for Harry than others. - Powerful Empath: Due to the torment he suffered at the hands of Severus Snape, Harry only just barely learned how to perform Occlumency. Unfortunately, this had the unfortunate consquence of causing him to have virtually no control over the "Perceive Emotions" power, as it will automatically trigger whenever he looks someone in the eyes, and sometimes it causes him to feel whatever emotion they themselves are feeling. The presence of other Empaths blunts this effect to some extent. - Secret Identity: Hraesvelgr the Grey is in reality none other than Harry James Potter, the alleged savior of the Wizarding half of Great Britain. - Trigon's First Born: Harry's dark nature occasionally threatens to dominate his personality. When giving in to his darker emotions, or when overpowered by demonic influences, he becomes the infernal embodiment of Wrath, and it is up to his loved ones to bring him back from the edge of Perdition. Last edited by DalkonCledwin on Sat Feb 02, 2019 5:24 pm, edited 2 times in total. Motivation: Acceptance: Raven wishes to be accepted by her friends and those she considers family, despite the fact that she has the potential to herald in the apocalypse by admitting Trigon into the world they call home. Power Loss: Raven’s Soul Self can be damaged or even captured by an opponent using the right magic or amount of power. 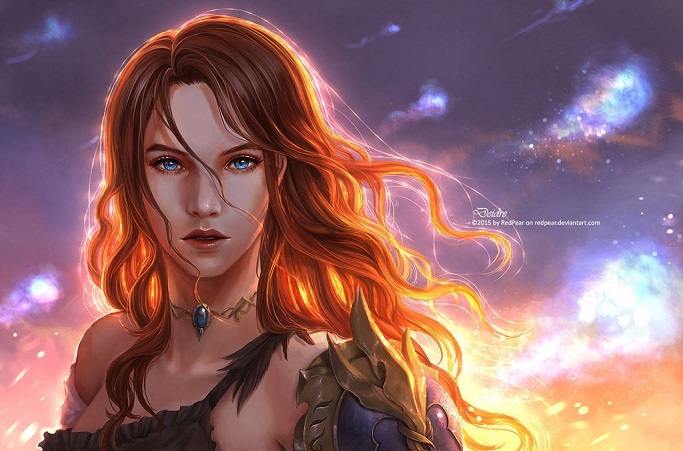 In this case, she cannot use the powers in her Soul Self array or her Ravensoul Shield. 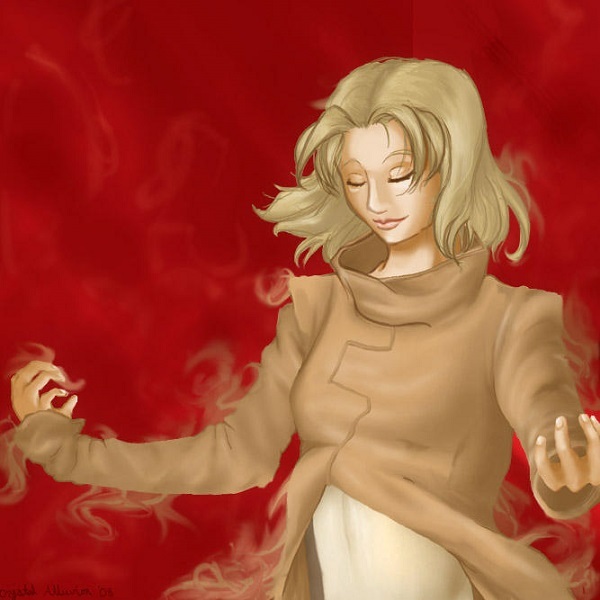 While separated from her Soul Self, Raven languishes and may die if separated from it for too long. Power Nexus: Because of her heritage and the knowledge she has access to, Raven is the target of many supernatural forces who wish to use her for their own dark purposes. Powerful Empath: Raven’s self-control sometimes slips and she becomes overwhelmed by ambient emotions, suffers pain from very strong feelings around her, or she unwittingly uses Induce Emotions and Terrifying Apparition on others. She always regrets these lapses. She is also constantly trying to deny herself the ability to feel emotions, something her elder brother isn't letting her get away with doing very easily. - Trigon's Favored Child: Raven’s dark nature occasionally threatens to dominate her personality. When giving in to her darker emotions or when overpowered by demonic influence, she becomes the infernal embodiment of Pride and it’s up to her closest friends to bring her back. - Uncontrolled Precognition: When Raven tries to use her Trance or Ritualist advantages, or when she’s just trying to sleep, she can receive precognitive flashes outside her control that knock her out and abort her attempt to use her powers and/or prevent any recovery from resting. Build Comments: One important note about Raven's stat block. She does not have the Dimensional Shift ability yet, because she has not yet learned how to do that the way Harry has done. Also, I want to go on record as saying that the whole "White Raven" thing that you see in the Teen Titans TV series? Yeah that is a plot device that will not be depicted in the stat blocks I am building. If it did have a rule attached to it, it would be the Holding Back advantage, and I don't feel that is entirely appropriate to how frequently Raven, and in this case Harry, tend to use the ability. They use that thing whenever it is plot relevant, not when their teammates are going to die or something like that. It likely does follow the same rules for the Holding Back advantage in terms of what it gives them, but it doesn't activate the same way. Measurements: 32C / 24 / 32 in. - Motivation: Greed: Fleur has deduced that Harry is completely unaffected by her allure, and is determined to make him her mate under any circumstances she possibly can. She is therefore one of the agencies wishing to get their hands on Harry with intentions that would be more pleasurable for Harry than the intentions of say... the Death Eaters. 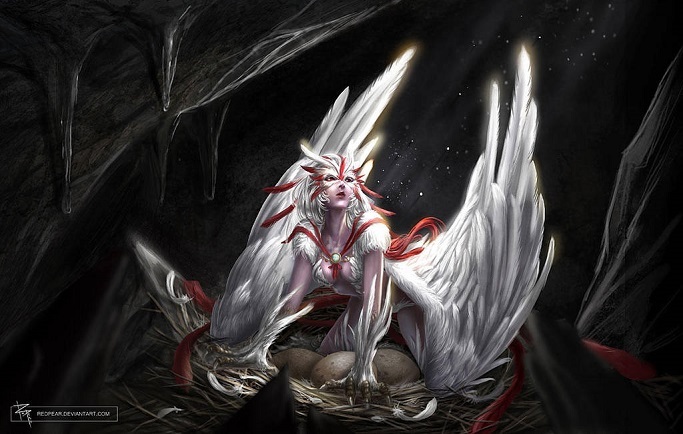 - Myth Busters: Veela Edition: First off, Veela are like birds, they lay eggs and they also protect those eggs with vicious savagery. This is why Veela communes exist, because any male who gets within eyesight of a Veela's nest is going to die a very bloody death. Next up, the daughter of a Veela is also automatically going to be a Veela too. There are no half-Veela or quarter-Veela, and there are certainly no male Veela. The male offspring of a Veela are the same species as the father... they are just born in an unusual manner for their species. Lastly, Veela with very few exceptions, Veela can produce viable offspring with any other species as long as it is at least partially humanoid. The most notable exception to that rule, is in the case of Dementors. - Relationship: Fleur is the elder daughter of Jacques and Apolline Delacour. Her sister's name is Gabrielle Delacour, and the two are close enough that one might say they are inseparable. Measurements: 30C / 21 / 30 in. - Hatred: Astoria absolutely despises Draco Malfoy due to the fact that he constantly antagonizes the boy she considers both a future romantic interest and her brother. - Motivation: Recognition: Astoria wants to be recognized by Harry as a Lady of the House of Potter. She isn't quite comfortable calling herself a Greengrass, and wants to be a part of the family she was always meant to be part of, both publically and intimately. - Power Loss: Astoria hasn't quite reached the level of education where she can cast magic without her wand, nor has she learned any spells that are taught wandlessly to begin with yet. So without her wand she is entirely reliant on her more physical abilities. - The Secret Heiress: Astoria is the product of a foursome that was conducted between James and Lily Potter as well as Cyrus and Elizabeth Greengrass not even two full weeks before James and Lily died while saving Harry's life from Voldemort. She is the biological daughter of James Potter and Elizabeth Greengrass. No one outside of her immediate family (i.e. the Greengrasses), knows any of this just yet, but James and Lily did make allowances for the possibility of her birth, just in case. Measurements: 36D / 23 / 33 in. - Enemy: Wonder Woman has been actively performing the functions of a superhero in the world since at least Great War. She therefore has made many enemies over the years, the most notable of these happens to be Albus Dumbledore, as the man feels she is far too violent with her enemies, even if he knows better than to do anything about it. 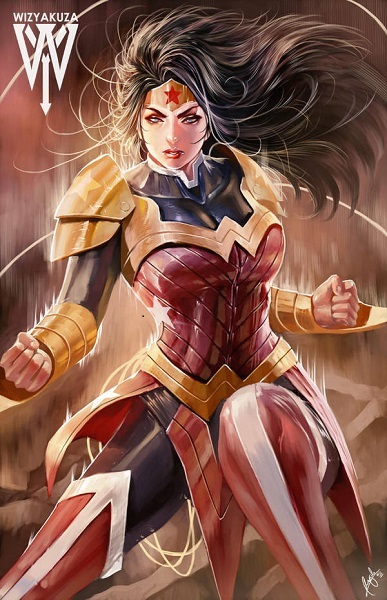 - Motivation: Responsibility: Wonder Woman has a significant burdan of responsibility to the people of Themyscira, as she is the one to act as their voice in the world that exists outside the borders of their island paradise. - Plot Device: Wonder Woman technically has the Holding Back advantage attached to her Bracers. However due to the fact that a Power Level 19 player character is absurdly bonkers, she should be banned from ever using that power by any sane GM, which I have done myself. In exchange for banning the advantage, I have refunded the PP she would have otherwise spent on the advantage. Incidentally, the God of War upgrade simply puts her on even footing with Ares and grants her many of his abilities. Ares is a PL 16 character in this setting. - Secret Identities: Wonder Woman is really Diana Prince, who in turn is really Princess Diana of Themyscira. Measurements: 38D / 25 / 36 in. - Motivation: Doing Good: Dinah strives to do good things with her powers, usually by helping her fellow Justice League members fight crime and terrorism. - Power Loss: Injuries to her throat or effects rendering her mute rob Black Canary of her canary cry. - Technology Repellant: Anything more technologically advanced than her motorcycle tends to malfunction when Dinah is asked to operate it. She doesn't even know how to program her VCR to record a movie she might want to watch, to say nothing about trying to work her way around most of the Justice League's tech. - Deadly Progeny: Trigon’s children—his daughter Raven and six sons—are powerful in their own right and both the greatest boon and the greatest obstacles to his continued campaign of conquest, seeking either to rally forces to stand in his way (as is the case with Harry and Raven) or seeking to steal their father’s power for their own, as do his other sons. 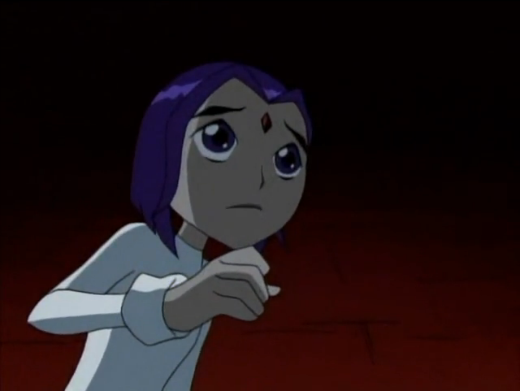 However, without those children, it is far more difficult for Trigon to enter a world in order to conquer it. - Enemy: The goddess Azar is Trigon's chief enemy. She is as good as he is evil, and drawing upon her power is the easiest way to seal him away, if you know how to do so. - Outsider: Trigon must be summoned to a new dimension by either one of his children, or else a particularly stupid group of cultists before he can begin trying to conquer that dimension. However, he has been known to use his Reality Manipulation power to summon women into his presence from other dimensions so as to lay the seeds by which he can enter a new dimension. 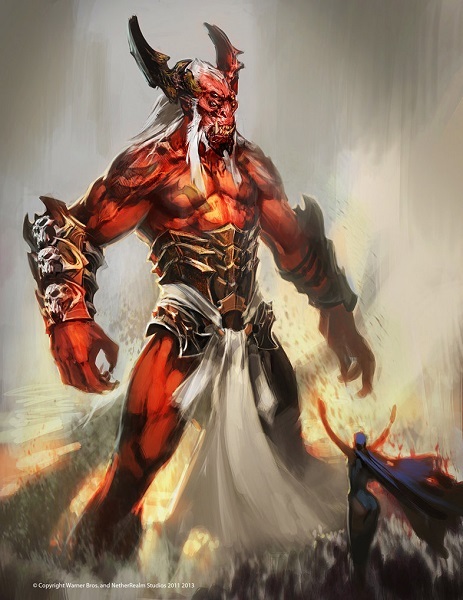 - Sliding Scale Villain: Trigon actually gets more powerful depending on how much evil is in the area into which he has been summoned (or in other words, his power scales based on how strong and numerous his enemies will be). The stat block presented here presumes he is entering battle with JUST Harry, Astoria and Fleur as his enemies. - Unending Conquest: No matter how many worlds he conquers, Trigon is unable to satisfy his lust for conquest. - Weakness: Powers which project positive emotions and peaceful thoughts do damage to Trigon as if they were perception range attacks (no roll to hit needed, just a resistance check). At GM’s discretion, large displays of peace and love might have a similar effect. Build Comments: First things of note, I didn't include the Power Staff he sometimes appears with because I don't recall that thing ever showing up in the Teen Titans cartoon, which is what I'm using as a baseline series for this setting, though the League does play a part. Next up... this is basically the closest I can conceive of for a character that mostly qualifies as a PL X entity in terms of viable stats. This is a merger of the Elder Evil archetype from the Gamemaster Guide and the Avatar of Destruction archetype from Cosmic Handdbook, though it does have a few extra bells and whistles. - Enemy: Voldemort has been declared a Dark Lord by the ICW. This means the average Witch or Wizard is permitted to use lethal countermeasures against him if they see him in public. With that said, that still doesn't make it safe to engage Voldemort in a fight unless you are at least as skilled at magic as he is, or else have some serious physical stopping power. 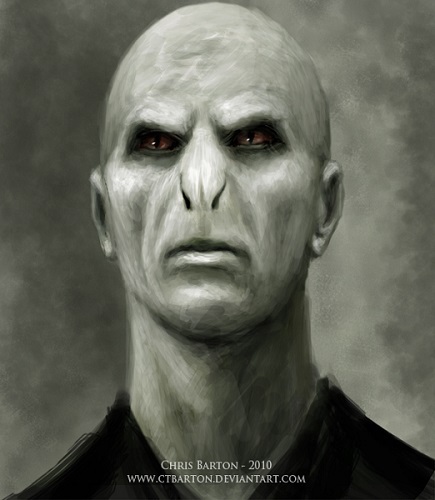 - Idiot Ball: The reason why the word "Voldemort" is the word everyone fears to say, is because Tom spent about a month trying to force magic to make his true given name a magically taboo word before realizing too many people in the world have that as a given name for him to ever have a chance of succeeding. - Obsession: Voldemort is obsessed with being the one to kill Harry Potter, to the point that he would immediately hit even his most cherished Death Eater with a Crucio for suggesting that he let them perform the task in his place. - Phobia: The primary reason Voldemort created his Horcruxes is because he is absolutely terrified of dying, and wants to live for eternity. It should also be noted that he sits somewhere between being a sociopath and a psychopath. - Priori Incantatem: If spellfire from Voldemort's wand connects with spellfire from Harry's wand, as inevidably tends to happen when Voldemort engages Harry in a duel, Harry can and will force the magic to rebound on Voldemort, inflicting him with the Stunned and Defenseless conditions until Voldemort can successfully resist the effect as though it were a Rank 10 willpower affliction. - Temper: Voldemort tends to toss Crucio's around like they were beaded necklaces on Mardi Gras. This is at least partly the fault of his having created so many Horcruxes and the damage they did to his mind. - Weakness: When Voldemort tried to use the mental link that he shares with Harry to take permanent possession of the boy, he discovered that it wasn't Lily's magic that was the true problem for him the first time he encountered the boy since that fateful night. Rather it was the fact that Harry's fully intact soul was too strong for Voldemort's fractured soul to bear long term contact with. That is why the Horcrux in Harry's scar has been incapable of corrupting the boy the that the diary did with Ginny Weasley, even if that was short lived. Build Comments: Unlike Trigon who is meant to be fought by a group of heroes, Voldemort is meant to be fought off by a single stalwart champion. This is why both Voldemort's Power Level is the exact same as Harry's, and also why Dumbledore would also be at a Power Level of 12. These are the most powerful Wizards of their respective eras. Please note, Voldemort's era was the 1970's, while Dumbledore's era was the 1940's. Harry is the new rising star. It is also worth noting, I am making a distinction between Wizards and Sorcerers. Wizards are actually the same thing as Homo-Magi, just... Zatanna learned a different method of casting than Hogwarts Wizards tend to learn. Sorcerers tend to draw their magic from extradimensional forces, such as the Lords of Order and Chaos. Raven draws magic primarily from the Goddess Azar (hence the whole 'Azarath, Metrion, Zinthos' chant she does), however she also on occasion draws energy from her father. Wizards can technically use the method of magic that Sorcerers use, but few ever learn how to do such things, Harry and Zatanna are known exceptions to that rule. Oh and actually, in DC Comics the Homo-Magi are apparently very reclusive, to the point that the only member of the species that gets any real screen time is Zatanna. So basically, it isn't very far fetched to assume that the Homo-Magi are the same society that Witches and Wizards happen to be, just within DC Comics. Anyways, this is the touch up on Voldemort's stat block I promised everyone a few days back. - Light or Grey aligned Harry. - Harry must be powerful for a mortal, or possibly even as strong as Diana. - When the story starts is up to the individual author. - Lily was in reality the Goddess known as Artemis. She ‘died’ when Voldemort attacked the Potter cottage, leaving behind a Demigod child. - Remus Lupin must in reality be Ares, the Olympian God of War, having either survived his confrontation with Diana of Themyscira, or else having been reincarnated. - What Harry inherits from his mother is up to the author. - Diana must be made aware of Harry’s existence, and seek to help him become a hero. - If the Justice League is involved, Harry must have one of them as a paternal role model, with Diana taking upon herself the role of a maternal role model. - All pairings are welcome, except for ones where Harry is paired with another male. - Full Justice League / Young Justice / DC Comics crossover. - Other crossovers or crossover references. - Harry, for some reason, is raised on Themyscira. - Zatanna, Constantine, or one of the other DC Magic Users trains Harry in the use of magic. - Diana adopts Harry as her son. - Another Demigod/goddess exists and aids/opposes Harry. - Remus/Ares extends an olive branch to Harry & Diana (why is up to the author). - Somehow, Tom becomes a Demigod (Resurrection Ritual SNAFU). - Harry has a suit of armor, and/or weapons from his mother. - Harry being involved in a plural relationship. - Harry becoming the new “God of the Hunt” when Lily/Artemis decides to not be reinstated as such at some point in the story. - Harry going dark or evil. - Ares as Harry’s father. - Harry siding with Tom. - Anyone convincing Harry to give up his semi-divine powers. - Both Lily & James as Deities (it was only one of them). - Fame: Harry is famous for something that he is fairly certain his mother was responsible for having accomplished. He is famous for having brought at least a temporary end to the reign of terror that the Dark Lord known as Voldemort had been perpetrating against Wizarding Britain. - Motivation: Doing Good: Harry tries very hard to do the right thing with his powers, but sometimes his temper just gets in the way. - Mythic Weakness: As he is at least partially divine, Harry is vulnerable to some of the same things that Deities themselves are vulnerable to. The most notable among these is Nth Metal, as it's magic disrupting properties does serious harm to deities. Harry suffers an additional degree of failure against such attacks. - Prophecy Bound: Harry is bound by two different prophecies. One which speaks of the fact that he is the only one who stands in the way of the Dark Lord known as Voldemort, and another which mentions him as a 'Godslayer' of one sort or another. The second of those prophecies may be possible to avert, or to turn towards a good cause depending on certain circumstances. Relationships: Harry is the only known son of the Goddess commonly referred to as Artemis. In point of fact, he is her first born child to begin with. He is also the son of the Marauder known as James "Prongs" Potter, and heir to the legacy of the Marauders. - Temper: Harry has a tendency to bottle up his emotions, causing him to explode rather violently with fury after a given length of time. This is a trait he learned while living in the Dursley Household, as they tended to punish him quite severely for showing even the slightest bit of emotion. Build Comments: I didn't include things in this build that would be practically useless outside the Wizarding World, such as the broom or the Marauder's Map. Measurements: 34D / 24 / 33 in. - Motivation: Acceptance: Artemis wishes to prove herself as a hero, and will do whatever it takes to make the cut as such, even if it means misleading her teammates about who and what she really is. 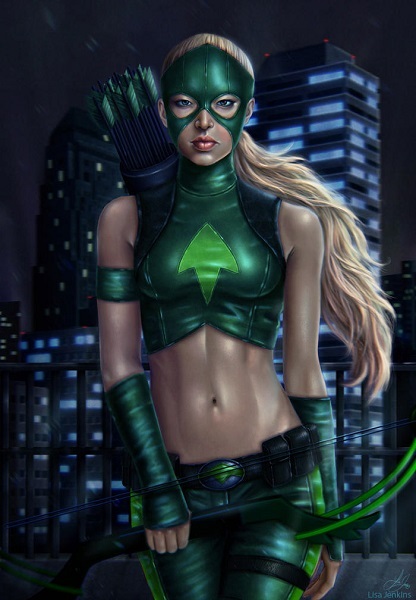 - Relationship: Artemis is the daughter of former villainess Huntress, and also of the Sportsmaster. Her sister is the criminal known as Cheshire. She is also an active member of the Young Justice team. - Secret: Artemis is very self-conscious over the fact that she is the child of two notorious villains, and will willingly lie about it to prevent others from discovering the truth of the matter. - Temper: Due to the nature of her upbringing, Artemis has a rather aggressive personality where she prefers to solve problems using force, rather than talking them out diplomatically. This can lead to problems between her and her more diplomatic teammates. Measurements: 30B / 21 / 28 in. 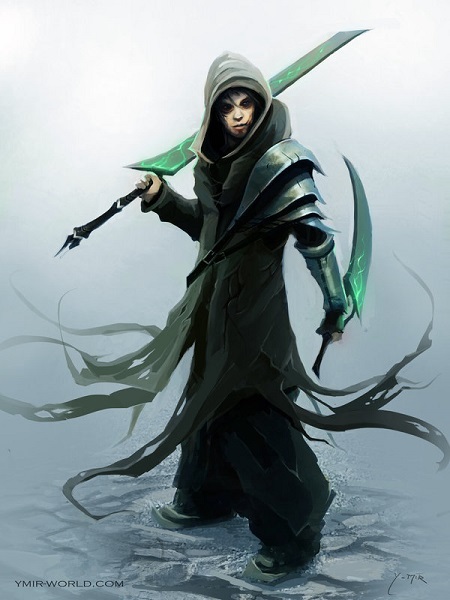 - Enemy: Greta was killed by her brother Billy, and as such she considers him to be her largest antagonist in the world. Billy also now calls himself "Harm" much as Greta refers to herself as "Secret." - Motivation: Real Girl: Secret wishes to return to being a real flesh and blood girl more than anything in the world. This is probably why she adores Harry as much as she does, because he views her as a living person, even though she isn't one. - Mythic Weakness: Secret is susceptable to Electromagnetic and Magical interference. She suffers an additional degree of failure when trying to resist such things. - Power Subversion: Secret can take a corporeal form, but in a complete subversion of how one would normally expect such a thing to work, doing so requires her to concentrate on the task as though her corporeal form had the "Concentration" flaw attached to it. - The Woman Behind the Curtain: Secret is directly responsible for pulling the strings that ultimately caused the Young Justice team to be formed in the first place. - The story must occur in Bruce Timm’s DCAU universe and involve a HP/DCAU crossover. - Harry must be summoned to help defeat the White Martians by Martian Manhunter, along with the other founding members of the Justice League. - Harry must end up in a romantic relationship with at least Kara In-Ze, if not also a few other girls from within the DCAU. 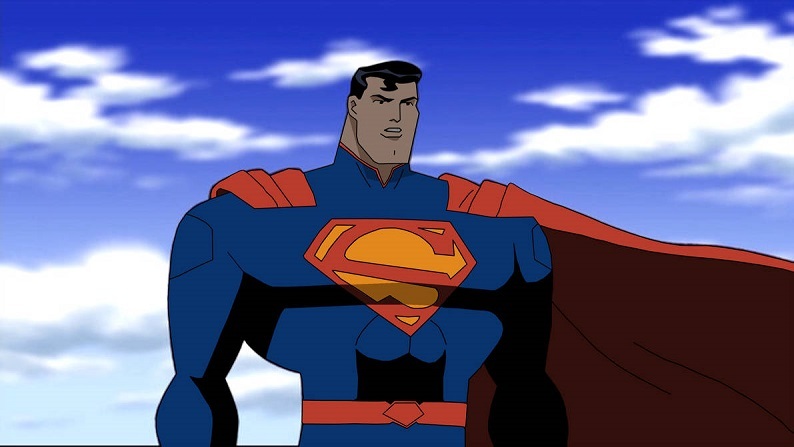 - Harry ends up traveling from his home universe to the world of the DCAU, and something during the journey has caused him to become a Kryptonian that is capable of magic. - If however, the DCAU and Potterverse are the same universe, Harry having some magical ability that sets him apart from other magic users. - If the DCAU and Potterverse are the same universe, instead of Harry having a magical ability that sets him apart, he has a connection to one of the DC Heroes or Villains (Clark will do). - First things first. While I will still follow some of Gamebook's advice when performing design metrics, I will also be desisting from following other bits of his advice for purposes of my builds from here on out. - Another thing of note, when I design an array of spells, I will usually limit the character to a number of spells equal to the highest of their Intellect, Awareness of Presence score (not the points spent in it). So for instance, if a character has an Intellect of 2, a Presence of 4, and an Awareness of 6, they will know 6 spells. This doesn't account for effects that are NOT spells which are included in the same array, which I sometimes include in the same array if an effect requires considerable concentration and prevents them from actually casting spells at the same time they are using said effect. This will be relevant in Harry's build for this idea. - Disability: Well, not as far as humans would be concerned, but certainly for a Kryptonian. Due to having spent so much of his youth inside a cupboard beneath the stairs of his aunt and uncle's home and due to being as malnourished in his youth as he was, Harry hasn't had as much time to develop his Kryptonian abilities as Clark has, nor is he as much of a natural with them as Kara is, therefore he hasn't learned things like how to fly or the "breath weapons" just yet. - Fame: Harry is known as the Boy Who Lived, and the Man Who Conquered. This is in addition to the fact that he is the so-called "Master of Death." - Power Loss - Kryptonian: When Harry is exposed to the light of a red sun, like that which Krypton orbited, he loses all powers with the "Kryptonian" descriptor, his Strength becomes 0, his Stamina 1, his Agility and Dexterity 3, and his Fighting 4. Other effects which drain or interfere with the energies of a yellow sun, like that which Earth orbits, can likewise deprive him of his Kryptonian powers. - Power Loss - Magic: If Harry is deprived of his wand, or otherise incapable of performing the necessary gestures associated with his magic, he will be incapable of performing any of his magic. He can still perform magic without speaking the incantations though. The exception to this is his Apparition powers. - Relationship: Harry retains a firm loyalty to past friends, such as Hermione Granger and most of the Weasley's, although certain members of that family have proven themselves disloyal in the past year. Harry is also the actual cousin of Kal-El, having been born to Kal's uncle and aunt in the immediate prelude to the destruction of Krypton. He spent about a year (relativisticly) in the Phantom Zone before making his way to Earth where he was found by Lily and James Potter and blood adopted by them. - Weakness: Just like any other Kryptonian, Harry is vulnerable to the various types of Kryptonite that exist in the world. However, due to the blood adoption that James and Lily performed when they found him, he is not vulnerable to magic the way that other Kryptonians happen to be. - Motivation: Responsibility: Clark feels a strong sense of responsibility to use his powers for the benefit of all. - Power Loss: When Clark is exposed to the light of a red sun, like that which Krypton orbited, he loses all powers with the "Kryptonian" descriptor, his Strength and Stamina become 3, his Agility and Dexterity become 2, and his Fighting becomes 8. Other effects which drain or interfere with the energies of a yellow sun, like that which Earth orbits, can likewise deprive him of his Kryptonian powers. - Relationships: Clark’s closest relationship is with Lois Lane. Other important people in his life include his mother, Martha Kent, and friends and co-workers Jimmy Olsen, Perry White and Catherine “Cat” Grant. He is also quite close with Kara Kent (otherwise known as Kara In-Ze). - Secret Identity: Clark Kent, mild-mannered reporter for the Daily Planet is in reality Superman, the heroic boy in blue! - Weakness: Clark is vulnerable to magic. His Toughness is not Impervious against magical attacks. He is also vulnerable to the effects of Kryptonite.